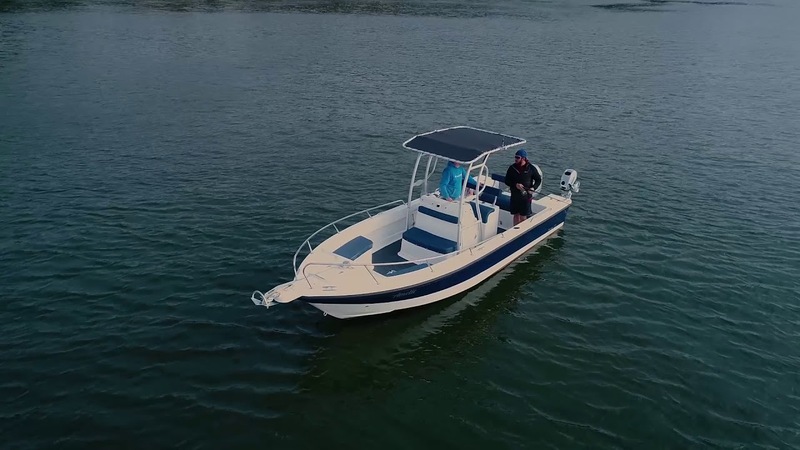 The boat has true sports pedigree and will prove equally attractive to divers, water sports enthusiasts and families as well as fishermen. The deck space is cavernous for the size of boat with enough room for all the family and friends and their gear for fishing, diving, water sports or just a day out! The 22CC in full flow and cutting some lovely lines.